GUJCET 2018 (गुजरात माध्यमिक और उच्च माध्यमिक शिक्षा बोर्ड सामान्य प्रवेश परीक्षा): The Gujarat Secondary and Higher Secondary Education Board will conduct the state level common entrance exam for the students to get admissions in engineering and various degree/ diploma in Pharmacy courses. The students have to apply online for the GUJCET Application Form 2018 on the official website. The authorities will activate the link in the month of April. It is compulsory for the students to submit the forms to get eligible for the GUJCET Admission 2018. The students have to submit the GUJCET Registrations 2018 before the deadline for the form. The application form will be the only way to get eligible for the entrance exam. 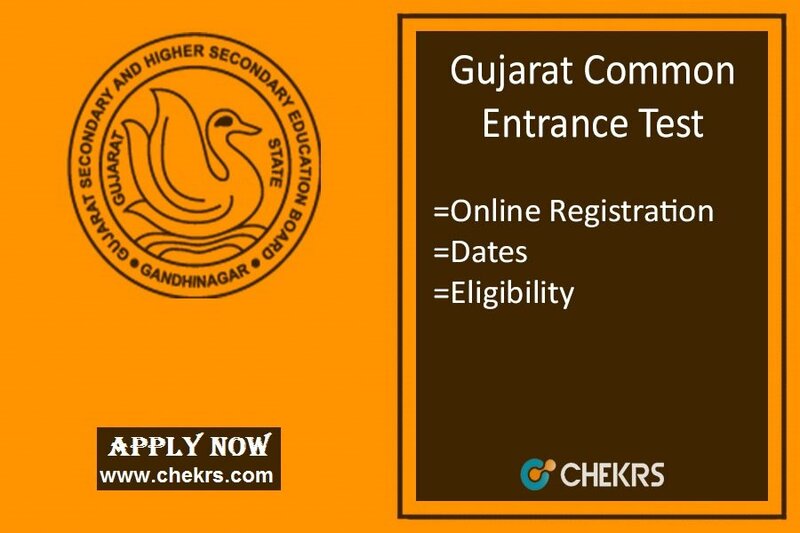 We will provide here the direct link for the submission of the Gujarat CET Application Form. The aspirants are required to follow some steps for completing the registration process of the common entrance test. Steps to submit GUJCET Application Form. Then they have to click on the GUJCET Apply online link present at the left side of the homepage. Now start filling the application form. Enter your all valid details like name, qualification, father’s name etc. Now in step two attach the scanned copy of all your valid documents, photograph and signature in the prescribed size. Now, pay the required application fee. Also, take a print of generated form for future reference. The students have to pay Rs. 300 for the application form. The students must be an Indian citizen. They must be a Gujarat Domicile. The aspirant appearing or passed 12th class from any recognized board in Gujarat. For engineering courses, PCM subjects are compulsory in 12th and for pharmacy, the PCB are compulsory subjects for the students. they must have scored minimum 45% (40% for SC/ST) in the qualifying exam. The students have to check the Gujarat CET Syllabus so that they can get all the information about the topics from which the questions in the exam are going to be asked. The syllabus will include topics from physics, chemistry, mathematics and biology subjects of the 12th class level. The detailed list of the syllabus is mentioned below. The students who are preparing for the Gujarat common entrance test they are advised to check the Gujarat CET Exam Pattern. This will help them to understand the pattern of the questions which will be asked in the exam. Also, they will get to know about the number and weightage of the questions. Total 120 questions will be asked to form the subjects PCM or PCB according to the course. The maximum marks for the exam are 120. Marking Scheme: One marks will be awarded for each right answer. Negative Marking: 1/4th marks will be deducted for each wrong answer.